A Hertfordshire demolition contractor has been sentenced by Milton Keynes Magistrates’ Court over multiple health and safety failings at two separate sites. 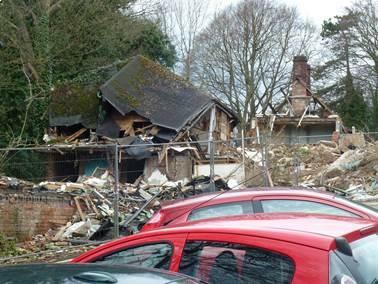 After receiving a complaint from a member of the public in March 2014, the Health and Safety Executive (HSE) investigated demolition work taking place at Chesham Community Hospital in Buckinghamshire. Inspectors found a panoply of health and safety failings, including improperly removed asbestos materials, no legally-required records of the demolition arrangements and a serious risk of injury from the potential collapse of partially demolished buildings on the site. At another site in Stevenage, Hertfordshire, the same contractor was in charge of several workers, who were unsafely dismantling a building in order to recover materials to sell off. The HSE found that no risk assessment had been carried out on the site, and it was highly likely that asbestos could have affected the workers, who were not provided with any safety equipment to protect them. Scot Ian Richardson, the acting contractor in control for both projects, was found guilty of four breaches of health and safety laws. He was sentenced to a four-month suspended custodial sentence, as well as 200 hours of community service, and told to pay court costs of £1,200. HSE inspector Rauf Ahmed said: “Sole traders who control workers to demolish and dismantle structures must understand their legal obligations. This is a high risk industry in which poor planning has no place. Family members expect their loved ones to come home in one piece.